Princess Cruises has confirmed its global wearable technology program is finally coming to Australia and will start equipping passengers onboard the Golden Princess with ‘Ocean Medallion’ devices in November 2018. First announced last year, the wearable device is powered by an interactive technology platform within the One Cruise Experience Access Network (OCEAN). It enables a new level of personalisation and delivers an enhanced guest experience not previously available in the global holiday industry, according to the company, which operates a fleet of 17 cruise ships. The Ocean Medallion will also unlock a guest’s stateroom door, replacing key cards. Golden Princess (November 2018), Crown Princess (November 2018) and Ruby Princess (January 2019) will be the latest three ships to feature the ocean medallion. Princess carries two million guests each year to more than 360 destinations around the globe on more than 150 itineraries ranging in length from three to 111 days. The company said the ocean medallion “goes well beyond” the growing number of wearables used by theme parks and other holiday companies by leaving behind the required action of ‘tap’ and ushering in a new paradigm for guest interactions. The technology requires no ‘on-off’ switch, no charging, no menu to navigate, and can be worn as a pendant, on a wristband, in a clip or placed in a pocket. 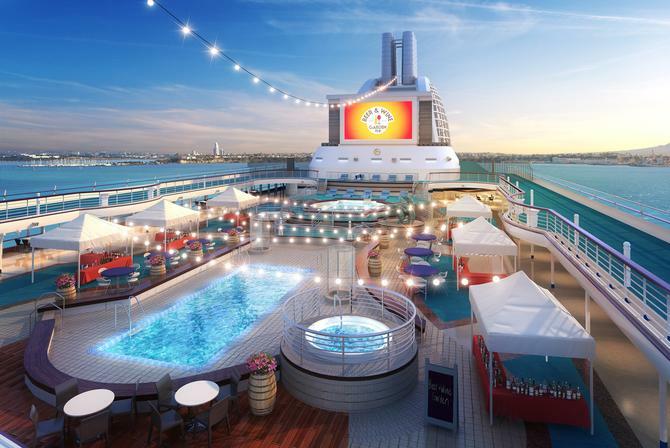 The pre-cruise engagement will allow guests to provide preferences that detail their wants, needs and desires so their onboard experience can be personalised, the company continued. “With the addition of Golden Princess to the fleet of Medallion Class ships, we will make available a more personalised holiday to guests sailing in and around Australia,” said Princess Cruises and Carnival Australia, group president, Jan Swartz, in a statement. Additionally, paired with the Ocean Medallion, guests can also use Ocean Compass, a digital concierge that provides interactive displays throughout the ship, on stateroom TVs, via guests’ own smart devices or through a crew member. Other technology service offerings include Ocean Ready, which expedites embarkation as required information is added to the guest profile at home. There’s also the ‘Here & Now’ functionality, which lets guests place food and beverage orders and have them delivered to select locations.There & Then, meanwhile, lets guests place select food and beverage orders and have them delivered to where they plan to be at a designated time. Additionally, guests have access to Ocean Navigate, which is accessed through Ocean Compass and helps guests locate the whereabouts of family members and be guided in finding their way around the ship. Friends and family will also be able to communicate with each other through a messaging service.